Sacramento is the capital of the U.S. state of California. It is at the confluence of the Sacramento River and the American River in the northern portion of California’s expansive Central Valley. 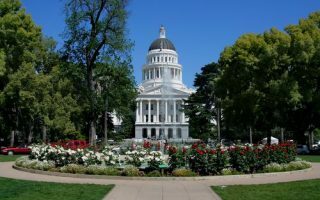 Known as the cultural and economic core of the Sacramento Metropolitan area, it is the fourth largest metropolitan area in California. This is our guide to the best places to run in Sacramento, California. The district of Old Sacramento harkens back to the city’s Gold Rush era, with wooden sidewalks and wagon rides. One of several museums in Old Sacramento, the California State Railroad Museum depicts the construction of the Transcontinental Railroad, one of the country’s earliest technological feats. Due to the city’s high vulnerability to floods, much of the land to the west of the city is permanently reserved for a vast flood control basin. As a result of this, the greater metropolitan area sprawls only four miles west of downtown, but 30 miles northeast and east, into the sierra Nevada foothills, and 10 miles to the south into valley farmland. 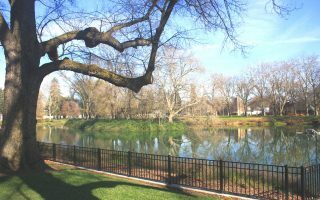 The paved Jedediah Smith Memorial Trail follows the American River and passes the beautiful Sacramento State University campus. 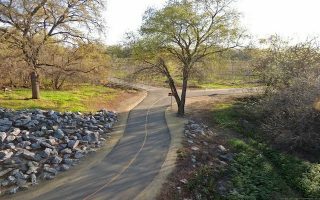 This loop runs past vast gardens and picnic areas, around the William Land Golf Course, through several baseball fields, and by the famous Sacramento Zoo. This route runs around the entire capitol park, past Fremont Park, Sutter’s Fort State Historic Park, and the State Indian Museum. 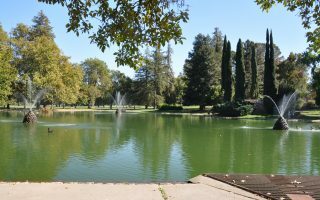 Southside park is popular among Sacramento runners due to it’s central location, large pond, playground, trails, and public art. This paved route runs through rural areas, as well as historic neighborhoods. You’ll enjoy beautiful scenery and running alongside Dry Creek. Davis, CA is a well-known suburb of Sacramento and a great college town. 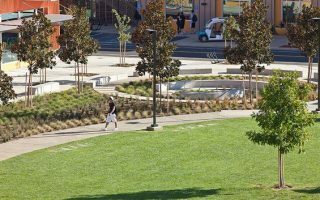 A great network of neighborhood greenways has made the area popular for running, walking, and biking. Folsom is a beautiful suburb about 25 miles northeast of Sacramento. 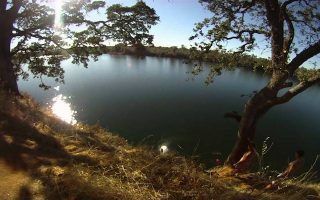 Lake Natoma is one of the iconic places to run in Folsom. This 11.8 mile loop is moderately trafficked, and features beautiful wild flowers. 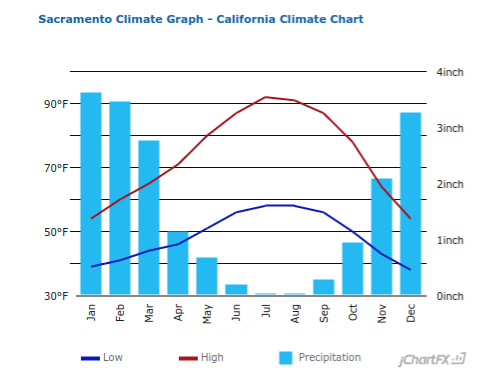 Known as the “delta breeze,” the summer heat is often moderated by a sea breeze which comes through the Sacramento-San Joaquin River Delta from the San Francisco Bay. Sacramento has a fairly compact downtown, with numerous places to stay. The nice thing about staying downtown, is that nearly all of the routes are accessible on foot. 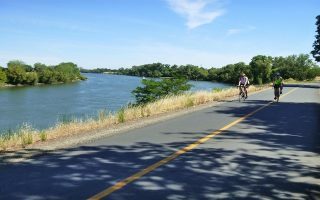 While you may want to call a quick cab, depending on what part of the downtown area you’re staying in, the only significant public transportation you’ll be taking is back from the Sacramento Northern Bike Trail route. Fleet Feet Sports: Group runs Tuesdays at 6:00PM. Runs leave from the Sacramento store location. 3 to 5 miles routes available. REI – Periodically host group trail runs. For specific dates see REI Trail Run Club. The Running Zone – For information on group runs, see The Running Zone Running Club. Birthday Run – Sacramento. This super fun “birthday” run is a 5k trek with lights, lasers, party hats and lots of wonderful surprises! A great running event to attend with family or friends. 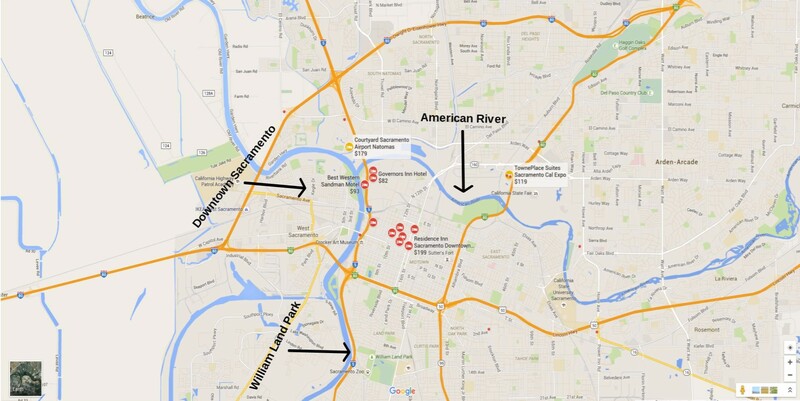 This event offers both 5k & 10k routes along the river. It is a flat, fast course designed with PRs and scenic river views in mind.